WARNING: BF Grid Master EA is a grid based trading strategy. You should not use it, if you are not aware of the risks associated with this type of trading. Do not risk money you cannot afford to lose! 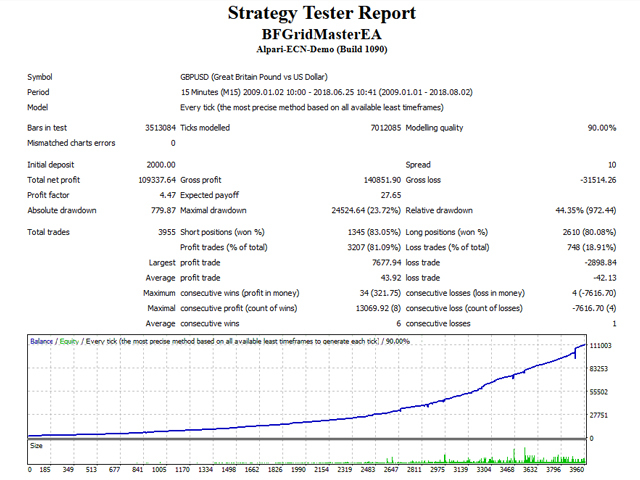 BF Grid Master EA is an efficient trading strategy developed especially for GBPUSD. However, if it is used wisely it can be adapted and applied for almost any trading instrument. BF Grid Master EA is designed to pick up the right moment for the initial market entry and for the following additional grid based recovery trades. The second safety line of additional trades is a unique feature, which is not present in any other grid EA on the market. This feature allows a safe “high frequency” scalping, when the price is in a narrow range and as well a second line of distant drawdown compensating trades in case the market price breaks in the wrong direction. The second line of drawdown compensating trades is initiated only in extremely stretched in the “wrong” direction market, only after a very strong market reversal pattern is detected. can you make it for 1H or 4H TF? I'm glad to work with them! You are by far the best trading robot programmer! 10 stars for your perfect EA! 10 Stars!!! Amazing EA and its FREE! USD-JPY H1 é muito bom, porem não consigo usar na conta real, apenas do backtest, como coloco h1? Work well if you know what you do i try it too eurusd and usdjpy with good result on demo for now,default setting is for gpbusd that i use on real account. This is a great EA. Works well and makes consistent profit. Grid trading is safe if you know what you are doing, and this ea does. Dangerous because it's a grid! Definitely, one of the best free forex robots. Using such great EA for free is great chance. I will definitely recommend it to my friends. The same grid systems can cost an arm and leg... Thank you soooo much!!! Can anyone explain why the min starting cap. is 1000$ ? for 0.01 start lot it seems safe for lower start caps also. however it works in demo acc. for lower startcap. Should entries be only from 5pm to 10am (night?) per default ? It isn't in simulation mode. Хорошая сова, чувствуется грамотный подход. So far, it works well. I am very pleased with the performance one week in and with the back testing as well. 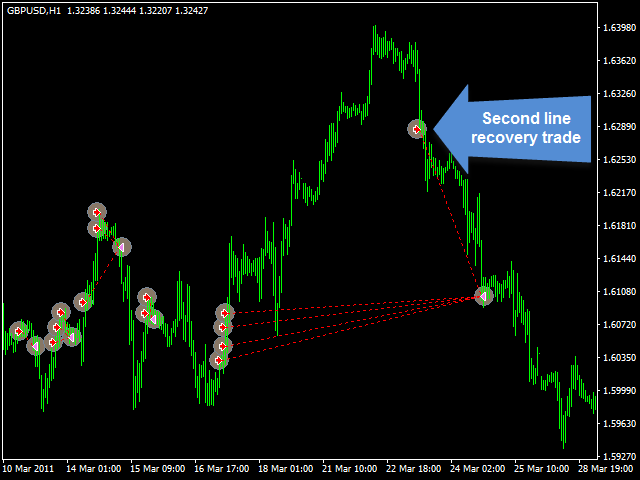 I started using this EA yesterday on both GBPUSD and USDJPY charts and following day I reaped some good profits. Excellent work from the creator. Love it!!! lo mejor que he visto en GRID ,cuidado con el riesgo pero se ve fenomenal ,como todas las de Lachezar ,la pondré en mi cuenta centavo junto BF Smart Scalper. hay set para mas pares???? Minor bug is fixed in this new version 1.2 of BF Grid Master EA. Only a small bug related to Lots calculation was fixed in this version 1.1 of BF Grid Master EA.